Ghana | How Can I Get Involved? The TFAA hub in Agyemanti, Ghana, is working with Cleanacwa in underdeveloped regions to make sure that clean water is available. 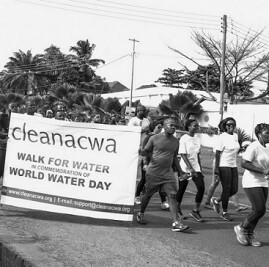 Starting in Ghana, we are rallying academics, non-profits, philanthropists, businesses, and local government to help find and spread effective solutions for water access and waterborne diseases. Over the past years Cleanacwa has supplied water and sanitation facilities for our first cluster, Agyemanti, a community of about 650 residents. The facilities included a borehole fitted with a hand pump.